You’ve worked hard to earn your money. Do you know the best ways to protect it? At Kinghorn Insurance of Hilton Head Island, we offer South Carolina financial planning services throughout the state. We provide a range of financial planning services including 401k, annuities, investment counseling and wealth management solutions. You can consult with our experienced Financial Planning Advisors to determine the best strategy for your assets. Give us a call today to get your financial future on the road to success. 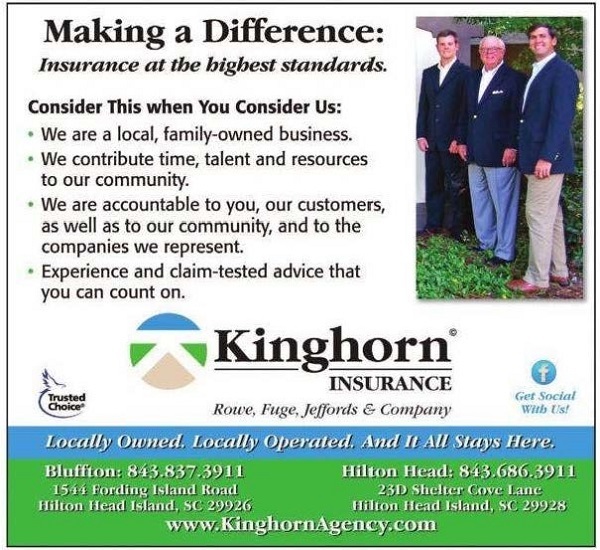 Kinghorn Insurance of Hilton Head Island offers SC financial services that will help you battle the uncertainty of investing. When planning for your future, it is important to know how to invest the money you work so hard to earn. There are seemingly unlimited options that may seem indistinguishable to the untrained eye. But with the help of Kinghorn Insurance of Hilton Head Island, you can get help with South Carolina financial planning services! We offer professional advice that can help you take the nest egg you already have and build it with a portfolio that will meet your investment needs. We help our customers wade through the options of Annuities, stocks, mutual funds, ETFs and more. The best part is that you don’t need to know anything about finances to get through the process! With the help of one on our South Carolina Financial Planning Advisors, all you need to know is how much you need to retire! Contact us now, and we can start discussing how our South Carolina financial services can help you! The sooner you talk to us, the sooner we can get you on the path to retirement!